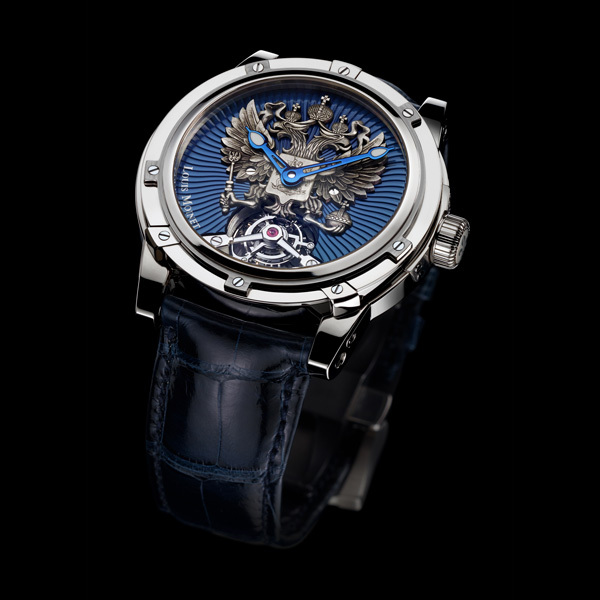 Four symbols, one timepiece. 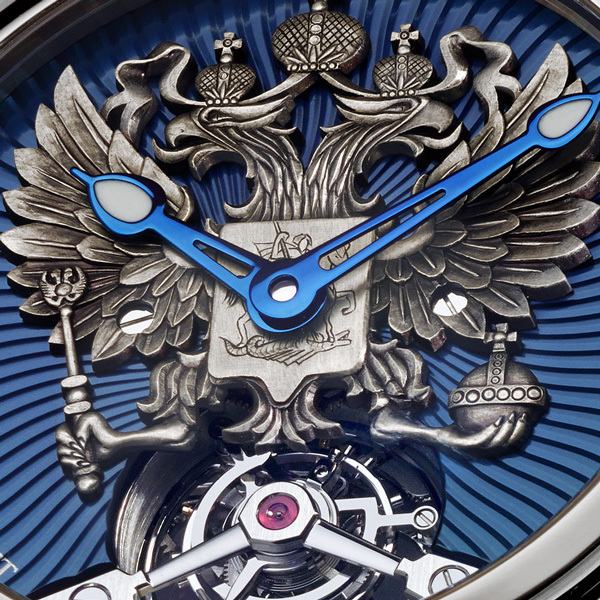 Enthroned on the pillars that represent the essence of the brand, Ateliers Louis Moinet is proud to announce the Russian Eagle, a new timepiece embodying uniqueness, art & design, creative horology – and exclusivity. 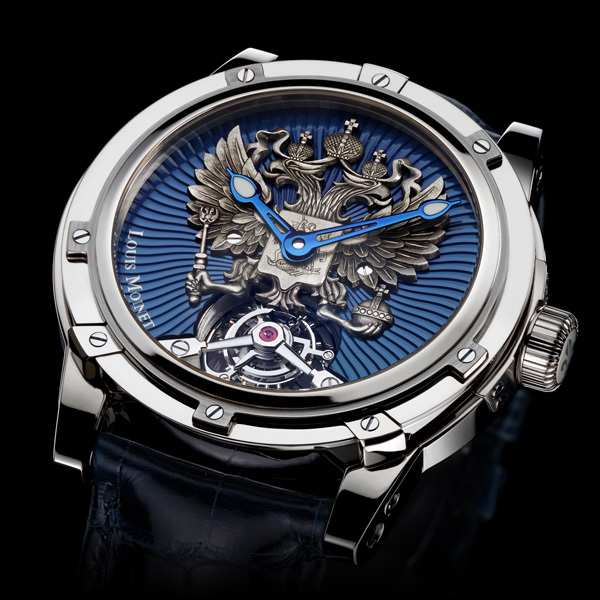 The Russian Eagle was unveiled for the first time at the JCK exhibition earlier this month, and is now available in a series of 28 pieces – in white gold.